On Friday February 10th, Bishop Conlon celebrated mass with the student body and then visited each classroom. The students asked questions and learned all things bishop related. Bishop Conlon continued his visit with the parish through the weekend. 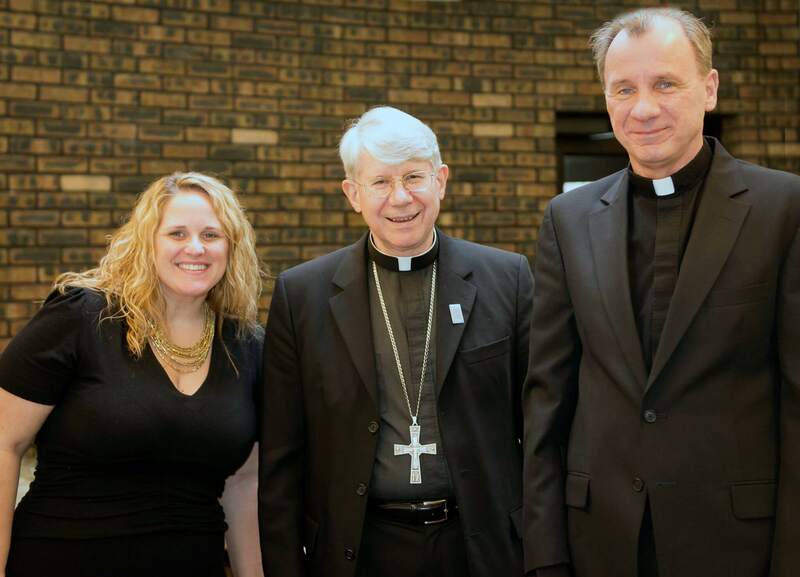 Ministry groups hosted functions and our very own Pohl Family hosted the Bishop and Fr. David for dinner on Saturday night. All in all, the Bishop had a great weekend and was impressed with the school and our students!